More than 50 lecturers and students from Bulgarian and foreign universities took part in a scientific conference organized by Varna University of Management on Friday, 26 June. The topic of the conference was “Education – a factor for economic growth and development of human capital”. The research made by participants of the conference reflected new tendencies and methods in the area of education. 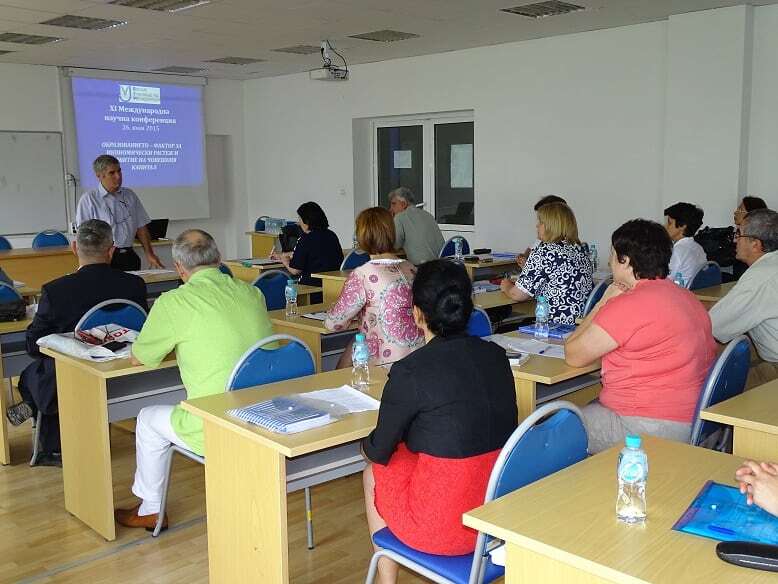 Among participants of the conference were lecturers from universities of Stara Zagora, Sofia, Varna and Blagoevgrad and teaching staff from VUM. VUM also welcomed the guests – students and lecturers from Wisconsin International University, Cherkassy State University, Lvov Polytechnic National University and many others presented their reports on the topics of education and its relation to economics. The conference let VUM once again present the new status. VUM keeps supporting research activities of its students, lectures and its partner-universities.